(Eisenia Foetida) red worms also known as red wigglers, manure worms, brandling worms, and tiger worms are native to Europe and found naturally in decaying piles of leaves and manure. Their adaptability and heartiness allow them to thrive in various climates and bins. They prefer temperatures from 40F-80F and are terrific composters. Vegetable and fruit scraps, herbivore manure, yard clippings, paper products, used coffee grounds, and egg shells round out what I use to feed my worms. Avoid over heating worm bins caused by the composting process, and to speed up availability of bite sized food for the worms by feeding partially composted food scraps and manure. I feed my red worms from my compost bins. Variety and balance will keep your worms healthy and happy, and will ensure a balanced pH in your bins and will avoid worms trying to escape and other problems. 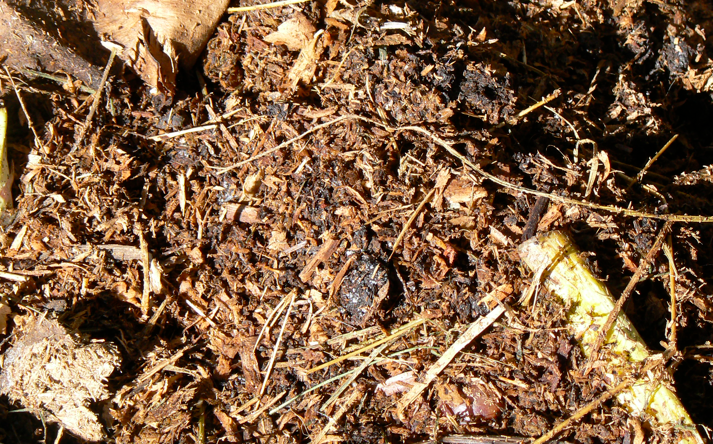 Scraps straight from the table can be added in small quantities to a section of an established bin when the worms have eaten through their previous feeding. For beginners and new bins I recommend feeding less course or already broken down matter. Great stuff mate. I’ve been using coffee grounds as a large part of my worm’s diet and they are loving it (I document the use of coffee grounds on my blog). Have also been combining the grounds with grass clippings and cardboard, bird seed and a sprinkle of fine sand. It seems to be working beautifully. Great site – keep it up.